So many of you have probably taken a gander and noticed some people wearing those interesting looking web footed shoe things... Yeah, I'm talking the Vibram thingies, and you've probably been curious once you've spotted them and asked "what the...??". Recently, I drove by a gal that, bless her heart, was out engaging in outdoor physical activity and jogging along a trail. I glanced down and cringed as I noticed two things: 1. she was jogging on the concrete in her Vibram shoe thingies and 2. she was an overweight individual... The combination of those two truly concerns me as it is just asking for an injury to occur. The barefoot trend has yet to take off, but I do notice more jumping on the train and I have some serious concerns with this trend. Now some of you are true barefoot or minimalist shoe patriots so excuse me if I offend you, but I think many really need to get some other perspectives so they can make their own informed decisions regarding these trends. First, I must say there are certain activities where the barefoot trend could truly be necessary or a reasonable part of the activity. Those activities may include things like ballet, barre, zumba, yoga, rock climbing, organ playing... (ha, ha one of my college professors used to wear his itty bitty tiny 'minimalist' shoes to fit on the pedals). Barefoot trend? Ok, I get it with these activities. For the majority of other activities, it just doesn't make sense and I see many injuries just waiting to happen. So what is my rationale for the injury potential? The majority of the US population did not grow up going about our activities barefoot. It's called systematic adaptation response. The human body adapts to the environment where it lives. If you grew up in a country or environment where walking around barefoot was common place, your body would build up calluses and your muscles and bones would adapt to this kind of activity. The majority of us have spent our life or the last 30, 40+ years in shoes, therefore with barefoot activity, our body has not adapted to exercise in that fashion. 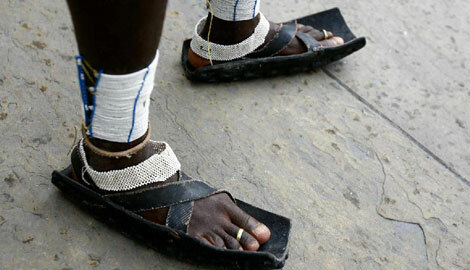 Notice picture below: A Kenyan Masai tribe member wearing his running shoes that are made of rubber tires... This individual grew up barefoot and is adapting with a 'product' that works for his environment. Another example is for the women out there that have spent years living in their high heeled shoes. There have been several studies that show continued wearing of high heels shortens the muscle fibers and the achilles tendon becomes thicker. 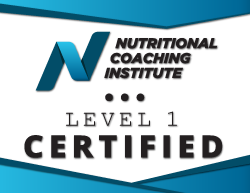 This can impede athletic performance because one may not get a full range of motion and elasticity through the muscle contraction. Thus, an example of adaptation response. Your body adapts to that repeated kind of environment. Since our bodies are not adapted to this kind of environment with activity barefoot, there are a whole slew of injuries that potentially could occur including: plantar fasciitis, achilles tendonitis, bone spurs, joint injuries in knees, hip, and back; for those that are overweight, the injury potential greatly increases. We are not living in the cavemen era as they didn't have the technology to have great shoes. Proper shoes are critical for INTENSE exercise and it is important to invest in your shoes. There is some validity and good rationale for many of us to learn proper, natural running form, and to learn to be more accustomed to landing on the ball of our feet/forefoot, instead of heel striking, but one needs to educate themselves on the proper form and ease into that adjustment. If you want to try the trend out or just want to adjust your form, then easing into this is best so that your body can build strength in your calf and foot muscles. If the barefoot trend has worked for you, then by all means, enjoy your activity. I encourage all to educate themselves and be aware of the injury potential that could come from this if not properly introduced and executed.